St. Patrick's Day is almost here! Time to bring out our green, proudly proclaim our Irish heritage and prepare our best Irish dinners. But do you know what St. Patrick's Day is truly all about? To be entirely honest, until about five years ago...I really didn't know myself! I knew it was a day to celebrate St. Patrick, of course...and that he was obviously Irish, but what did he DO? The only thing I'd ever heard was that he cleared Ireland of all snakes. Hmm, interesting theory...and I certainly would find removing all snakes from the country to be worthy of Sainthood, but surely there had to be more to that story, right? Pretty informative, right? We learn that St. Patrick was actually born Maewyn Succat and was in fact not Irish at all! We learn that at age 16, he was kidnapped by pirates and became a slave in Ireland. We learn that he eventually escaped slavery and became a bishop, returning to Ireland to spread the word of God. Such an interesting story, much greater than those tales of driving the snakes out right? Another important thing we learned about St. Patrick was that he loved to pray! One hundred times a day, he would pray. What a great example! 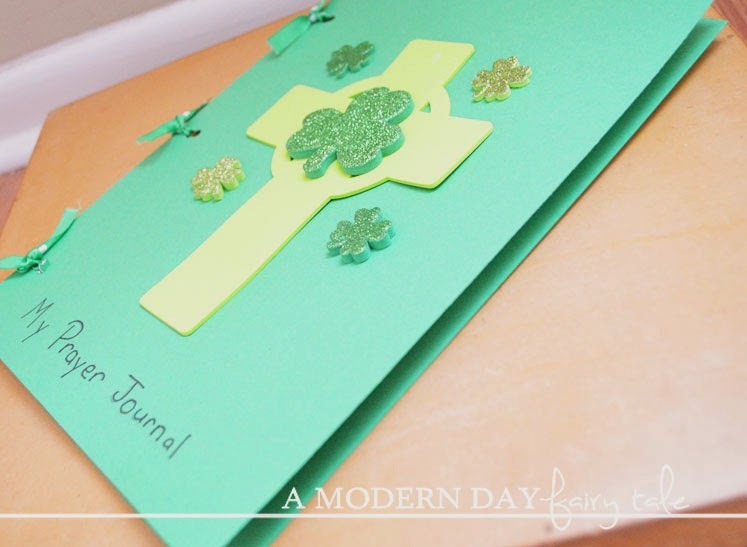 So for this St. Patrick's Day, we decided to do a little something to celebrate St. Patrick and his love of prayer with an Irish inspired Prayer Journal. This prayer journal will serve as a place where little ones can write their own prayers as they go throughout their day. Have your little one decorate the cover of their journal. Think St. Patrick's Day- rainbows, pots of gold, shamrocks, Celtic crosses...get creative, have fun with it. They can decorate a back cover as well, if they'd like! 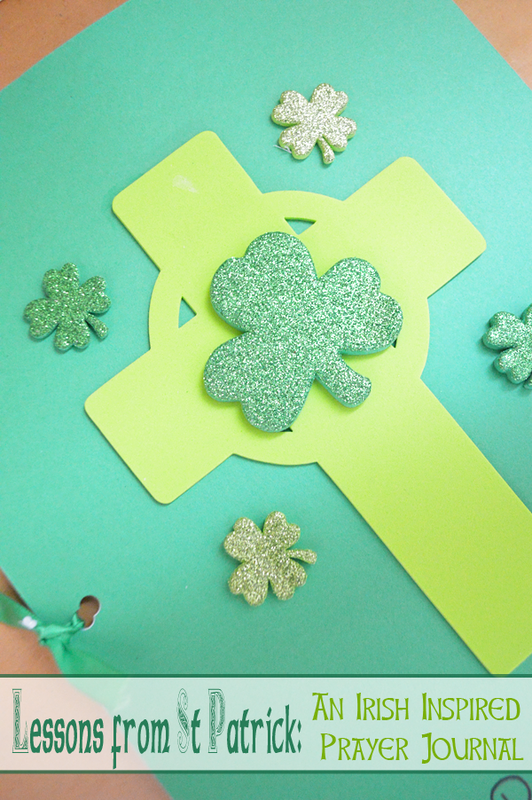 For our journal, we used foam crosses and shamrock stickers for a simple St. Patrick's Day look. Using a hole punch/three hole punch, punch holes in both your covers and your papers for inside the journal. Have your little ones write their prayers inside each day! Through the month of March and beyond! 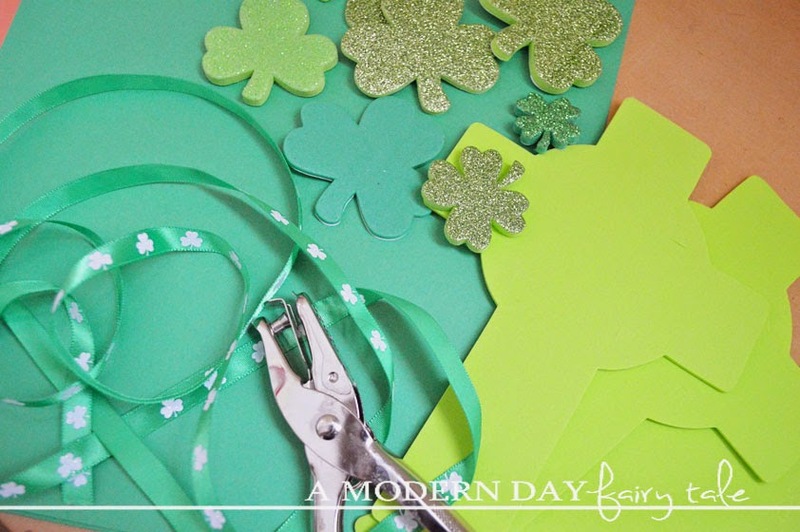 How do you teach your little ones about St. Patrick's Day? What lessons can be learned from St. Patrick? 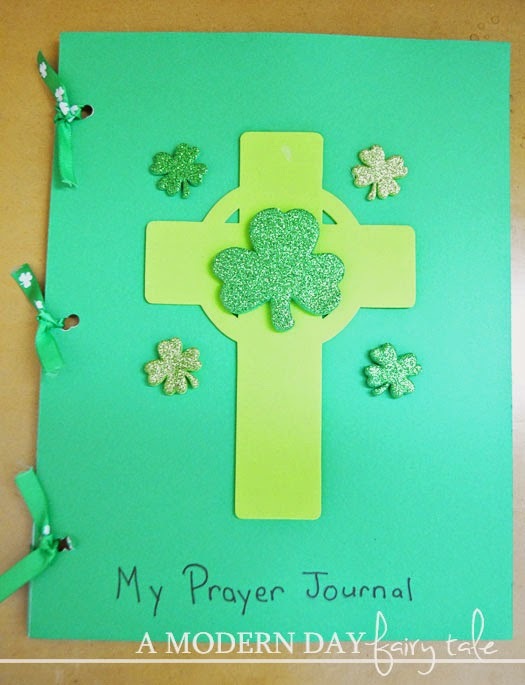 I love this idea of a St. Patrick's Day prayer journal! Thank you for sharing this easy yet super fun craft. And we love VeggieTales here! thank you so much for this. What a great way to teach children about St. Patrick's day. Thank you so much. I will be doing this with my grand children! I never knew all that about St. Patrick; He had such an exciting life. I love when holidays can be re-redeemed and can be used to teach our children more about God. What a super sweet idea! Loving this! This is beautiful! I would love if you would share this on my St. Patricks Day Blessing's Linky: http://scribbleprints.blogspot.com/2015/03/st-patricks-day-blessings-journey-and.html (no link back required). This is beautiful and so creative!! This looks like a really neat thing to do with my son!